Think of England is a selection of thirty photographs from a body of work with the same title that Martin Parr made between 1995 and 2003. Parr is a member of Magnum, the global photo agency based in New York, London and Paris. He lives in Bristol, England and has photographed Britain with a singular relentlessness. Parr’s framing, and his use of foregrounded fragments, captures in spatial form what we cognitively know to exist in the so-called real world. It is this image structure, as much as the subjects of his photographs that have established him in his position as the pre-eminent social documentarian in Britain. Parr’s relation to England is ambiguous and that ambiguity is expressed perfectly in his pictures. His caring for the people he photographs seems to be combined with his amazement at the state that things have come to. Parr’s England is charming in an other-worldly way, sometimes decaying before our eyes, product-obsessed, arcanely ritualistic and, overall, a place where the seagulls look healthier than the people. Demographically, Parr shows us England’s defenders of Empire, its more recent arrivals, and its youth, all at their leisure. As well, we see the detritus that all of these groups leave behind in their search for a better life. Think of England reveals the English at work and play, as victims of mass consumerism and seemingly meaningless tourism. 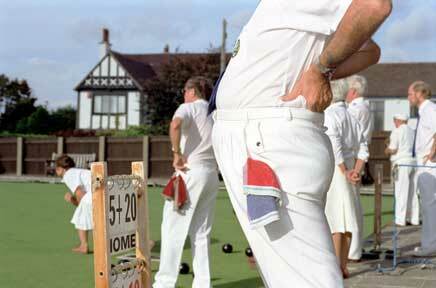 England is England but Martin Parr’s England is neither Tracey Emin’s nor Bill Brandt’s England. Since 1983, when Parr started taking photographs in New Brighton, a slightly past its best-before-date seaside resort outside of Liverpool, his vision has become part of the global photographic vocabulary. Some have said that Parr’s images are ‘brutally real’, but one could also say that they really only picture what is there, and that any brutality is not in the pictures, but in the world that is his subject. Parr’s particular photographic vision has redefined the shape of the world for the rest of us. He may pick on his countryman more often than those from elsewhere, but we know that his world is our world as well.